This 3D chess game can be played as a stand-alone game, over the Internet. 3 Levels of smart engine power. Playing via Internet or local Network or Game Server. Amazing 3D OpenGL Graphics and Animation. Music and Sound effects. Undo/Redo. Save/Load.You can choose One Player game to play with computer and Two Players game to play other person. You can any restart, undo the turns you played and overview the complete game by playing it. ...... It has been among the most preferred strategy-building games since ages. If you are looking for some challenging stuff in Chess, then you can try out Falco Chess for the purpose. The utility installs a Chess game on your system, and you can enjoy playing one player or two player chess game. It even provides you with undo/redo feature to play safely, and even you can save and load the game to continue further. You can enjoy the game in three distinct levels, namely, easy, medium, and hard. Classic game of Chess, in 3-D, and for both online and offline use. Kata Chess is a useful tool for both beginner and advanced chess players. Qweas is providing links to Falco Chess 4.7.3 as a courtesy, and makes no representations regarding Falco Chess or any other applications or any information related thereto. 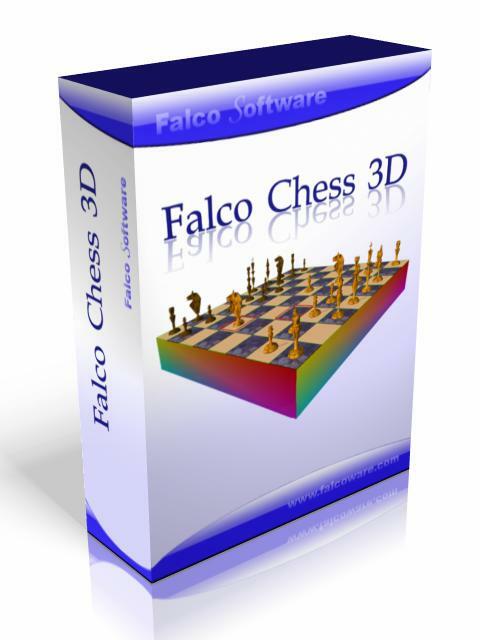 Any questions, complaints or claims regarding this application Falco Chess 4.7.3 must be directed to the appropriate software vendor. You may click the publisher link of Falco Chess on the top of this page to get more details about the vendor.